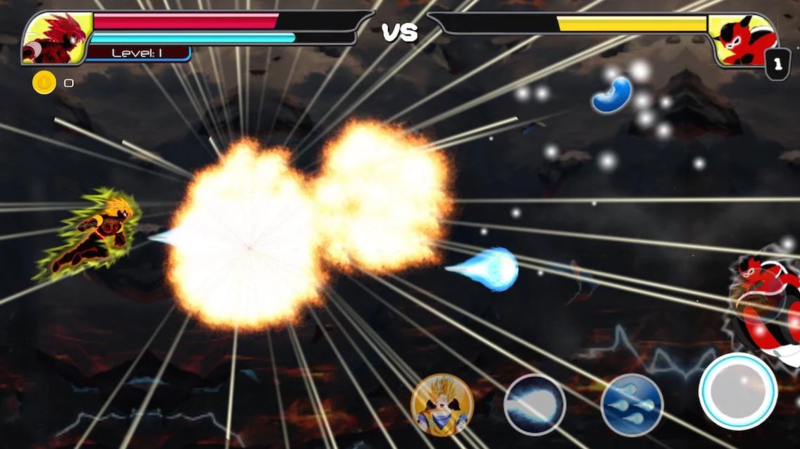 If we have any Dragon Ball Z fans here, check out Super Battle for Goku Devil on Google Play. This game is as straightforward as can be, having you play as a Super Saiyan warrior. Like you would see in earlier Mortal Kombat games, you play one boss at a time, moving your way up the ladder to more difficult opponents. The first few rounds are easy, with plenty of energy to spare on all of your favorite moves, such as the Ki Blast, Kamehameha, Dragon Recall, and Big Bang Attack. However, as you progress, encountering boss characters you should recall from the franchise, their attacks become very powerful, and eventually, you may fall victim to their strength. As you use attacks, your energy will drain, but bosses will drop power ups to help you regain your attack energy. Once you are at max energy, you can unleash deadly attacks. As far as movement in concerned, all you need is two fingers; one for moving your character up and down to avoid attacks, and one more to engage the boss. If you master your timing, you can essentially miss any incoming attacks. The game is free to download and play, but inside, there are plenty of ways to get additional coins to unlock new variations of the same character. From what I see, there is no exact reason to do any of this, unless you want to look different. On top of that, after a few rounds, a video ad will play. Such is the state of mobile gaming. Go get your power level over 9000 already, noob.